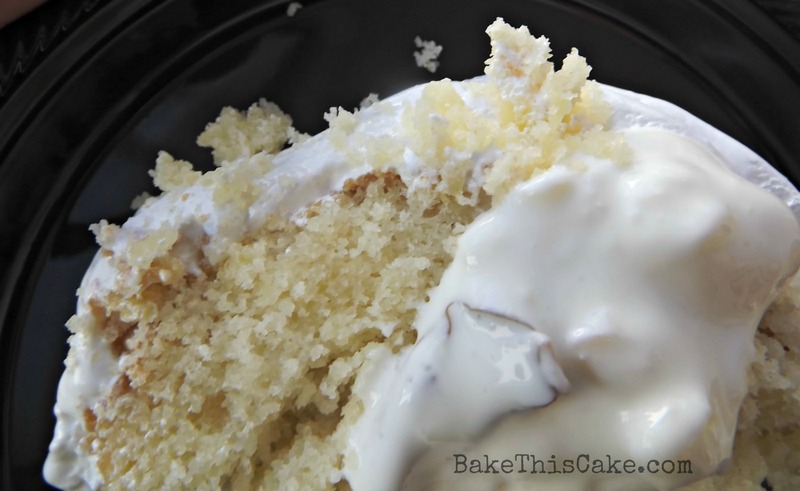 The Welcome Cake – A Vintage Crushed Pineapple Cake with Fluffy Boiled Frosting and a Sweet Smother Sauce | Bake This Cake! 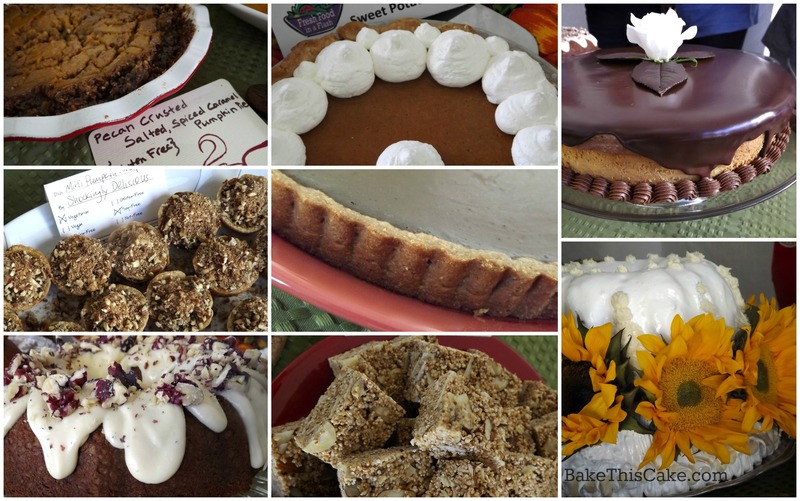 ← Vintage Roasted Pumpkin Spice #Cake Recipe for a Food Writers’ Pumpkin Party! Sing into your turkey drumstick microphone and give a hearty welcome to The Welcome Cake! The very retro Crushed Pineapple Cake, meant as a symbol of friendship, is frosted with old-fashioned Fluffy Boiled Frosting and dolloped with a bit of Sweet Smother Sauce made from sour cream and an exotic honey-like flower syrup. We’re talkin’ old-fashioned homemade holiday cake here. Oh yeah! 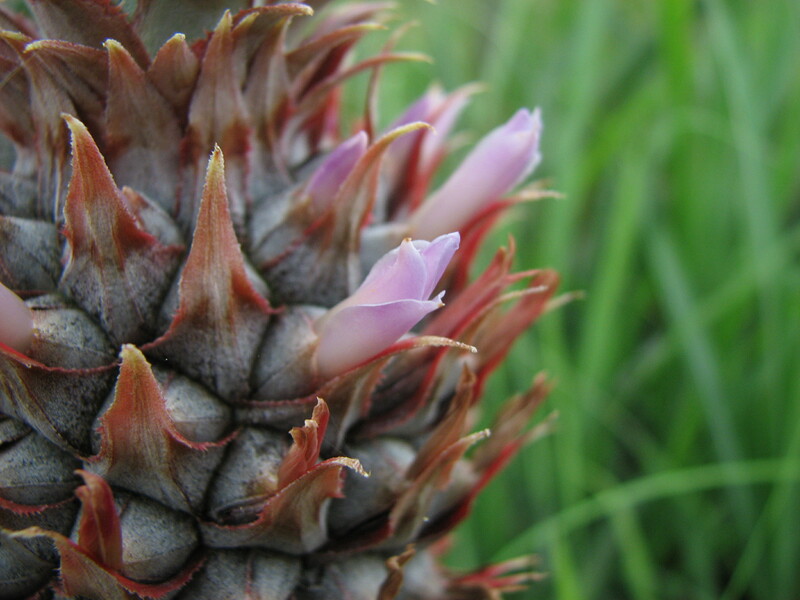 Pineapple as a Symbol: Did you know that the pineapple is a universal symbol of friendship and hospitality? Okay, some folks also consider the pineapple a symbol of fertility — but that’s friendly too, right? 😀 The feng shui fruit folks look to the pineapple for the energy of fruition — as in wealth, fortune and prosperity. 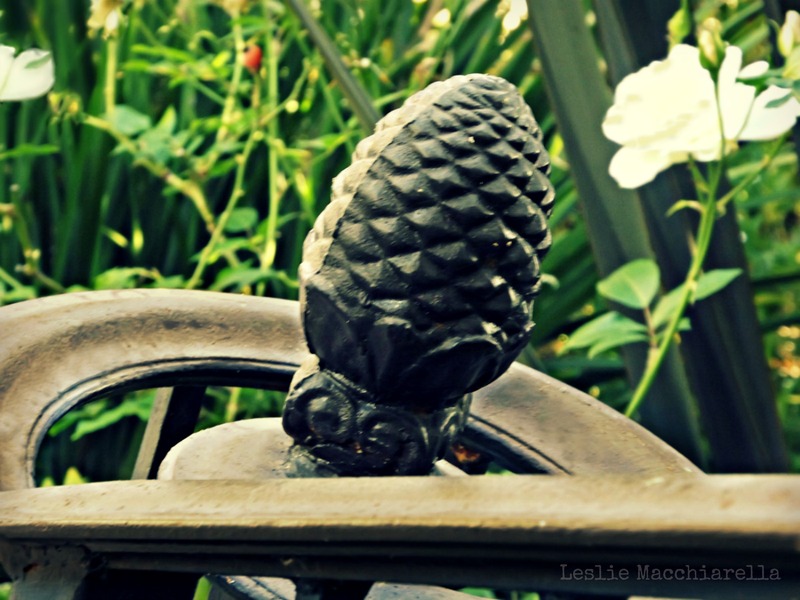 It looks like a pine cone — only bigger, of course, hence the original name of pina, and if you see a pineapple motif out front of your historic home or at the top of the gate posts at your local museum or park, you can be sure someone meant to welcome visitors in the old days. Food writers gather-up! In the spirit of friendship I’m heading for a meet-up. But not just any old meet-up. It’s a food sharing and discussion in Santa Monica. 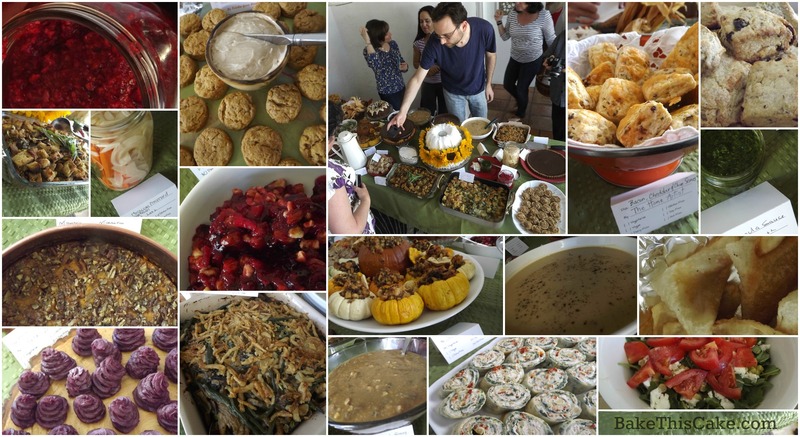 Actually, it’s a Thanksgiving potluck buffet meet-up with food writers. Food bloggers, that is. Food Bloggers Los Angeles (FBLA) to be precise. And the ever-gracious Andrew Wilder of Eating Rules has opened his lovely home to us and brought out a skedaddle of retro folding chairs to sit a crowd in his hip and cool sunken living room. And here they come! The most passionate group of food bloggers in Los Angeles — sitting down together to share their love of the food arts and to showcase their amazing recipe selections for holiday gatherings. 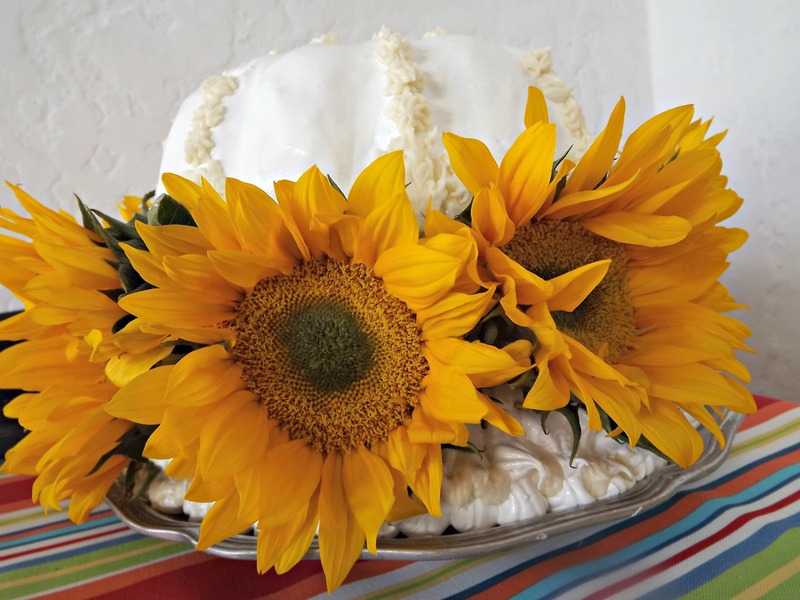 I’ve been asked by the co-founder of FBLA, Erika Penzer Kerekes of In Erika’s Kitchen, to bring a vintage birthday cake ’cause it’s also time to celebrate the 3rd anniversary of the founding of this amazing food writers group. 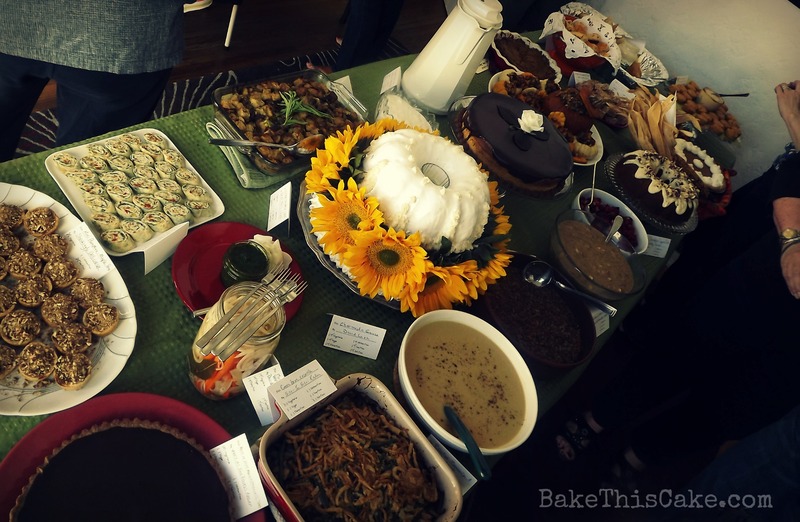 Did I mention that you’ll find ALL the recipes here for each and every amazing dish on our little buffet table? And you’ll also find the recipes for every sumptuous dessert! On to the Vintage Crushed Pineapple Cake! I Have a Thing for Church Cook Books! 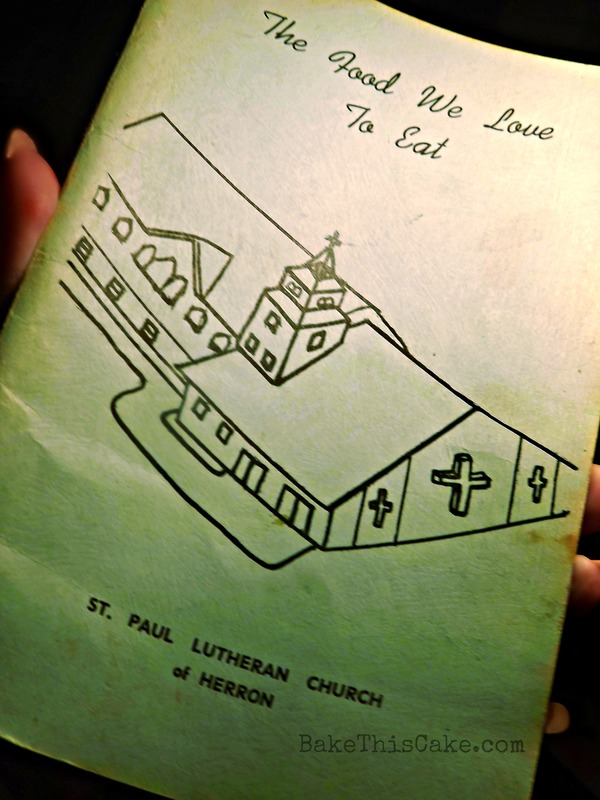 Lots of lovely old-fashioned delicacies are hiding in fundraiser pamphlets from every decade that showcase cherished family foods and favorite recipes being passed along to the community to help raise money for a good cause. The cake recipe (and many others) in the church recipe pamphlet call for the use of Spry, which I’ve come to learn was a vegetable shortening used prior to the 50’s. It has garnered some acclaim for being included in James Lileks’ 2001 book “The Gallery of Regrettable Food”. 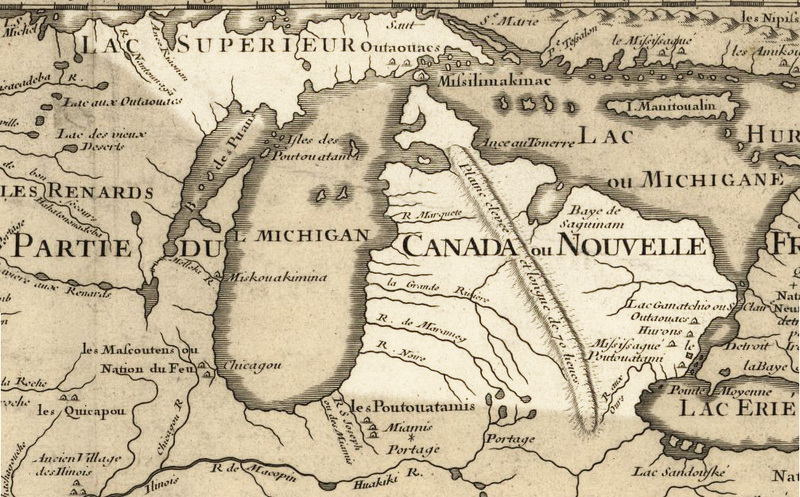 Here’s a nice discussion about the history of Spry in America. Well, we tried using a modern-day vegetable shortening in one of our test cakes, and, regrettably, it did not prove to be a winner — so we substituted butter (and also added some vegetable oil to give the cake extra moisture). Sorry Spry. 1) Prep the pan. 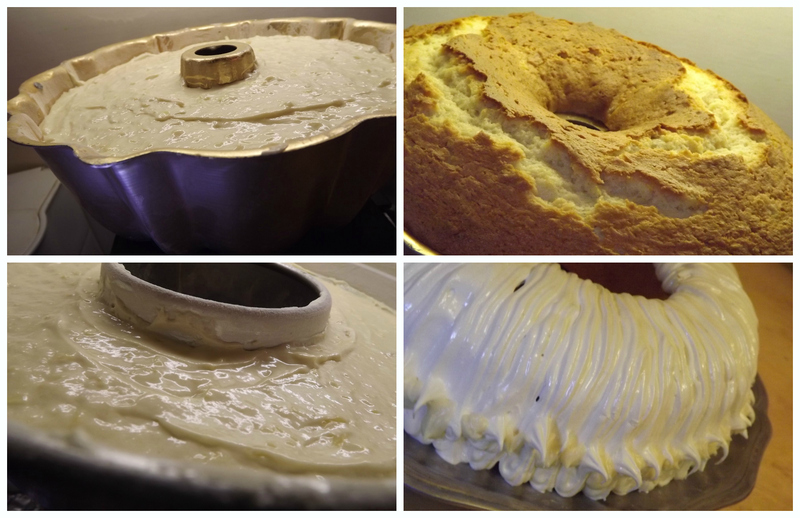 I used 2 different tube pans: my grandma’s copper 10-cup bundt pan and a large aluminum salad mold tube pan (13″ diameter x 3-1/2″ high with a 6″ center tube hole) — for a double-layered large party cake. BUT the recipe below is for just ONE 10-cup bundt pan recipe that will serve 10 to 20 people depending on the size of your slices. If you want to duplicate exactly what I did for the double-double cake, just double this recipe and fill each of the pans about 2/3 full for a brimming double cake. Butter a 10-cup 10″ bundt pan and dust it with a tablespoon or 2 of flour or spray it well with unsalted cooking spray that contains flour. 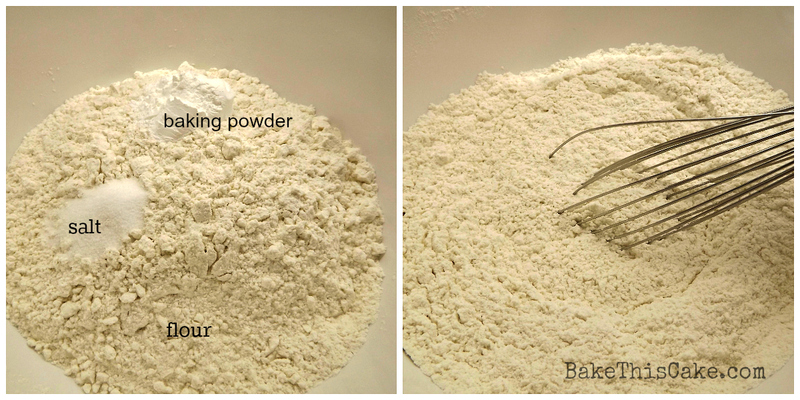 2) Prep the dry ingredients. 3) Prep the wet ingredients. Tip: I creamed the butter alone first for a few minutes and then I added in the sugar for a few more minutes (but you don’t have to do this). 4) Put it in the pan and bake it. Load the batter into the prepared cake pan 2/3 full (you may have a little leftover batter for cupcakes if you don’t want a really full cake as show in the below photos). If you want a full brimming cake similar to the one I baked, use all the batter as I did, a little past the 2/3 mark for a larger bundt cake. Bake in prepared pan in pre-heated 350 degree oven for 40 to 55 minutes or until the top is golden and cracked and the sides of the cake separate slightly from the edges and a toothpick inserted dead center tests clean (to an internal temperature of about 200 degrees). 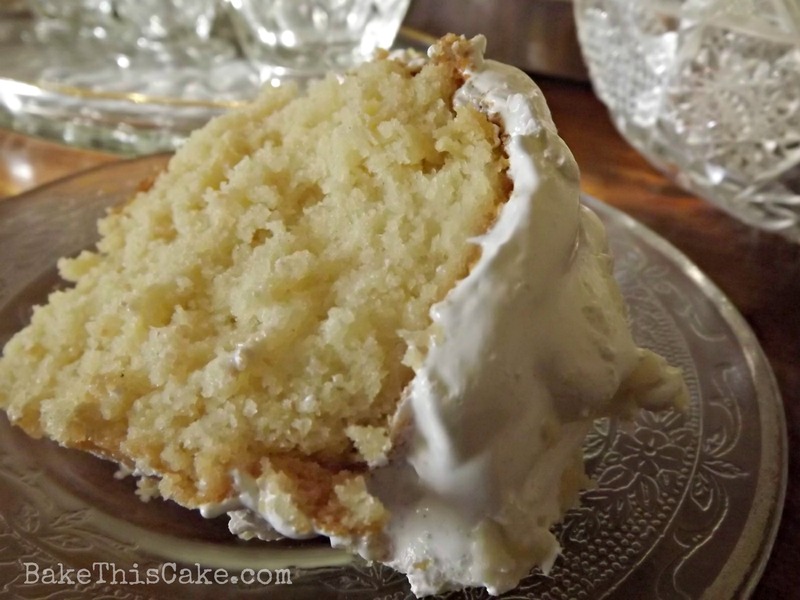 Old-fashioned Fluffy Boiled Frosting: There are many versions of this old-style frosting recipe. This one is from the 1933 Pillsbury “Balanced Recipes” cook book. 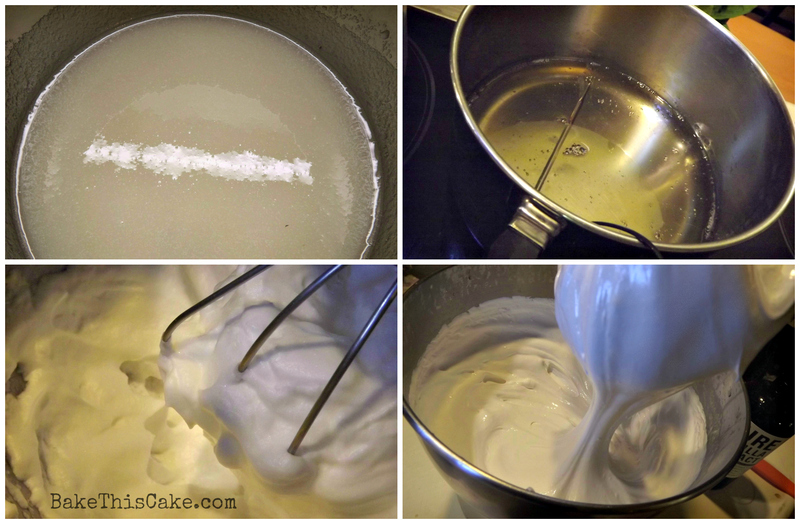 It starts with a very hot simple sugar syrup that is slowly drizzled into whipped egg whites while the mixer is on low-speed. Then it is whipped on high-speed to make a light marshmallow-type frosting that hold a nice peak. We added a little pineapple juice to the recipe at the very end for flavoring. Place all ingredients except egg whites in a medium pot and bring to a boil over medium heat until the temperature probe or candy thermometer reaches 248 degrees. 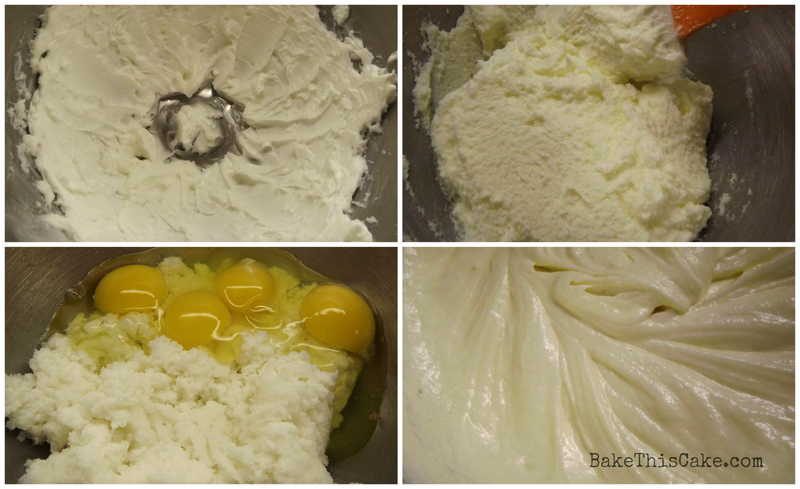 Beat the egg whites until stiff and immediately and slowly drizzle the hot syrup into the egg whites while the electric mixer is on low-speed until all the syrup is used (taking care not to touch the hot syrup or dribble it onto the sides of the mixing bowl or onto the mixing blades). Add the pineapple juice and increase the speed of the mixer to high-speed and beat about 5 minutes until light and fluffy. If it gets too thick, you may add a little hot water to desired consistency. Tip: If you want a glazed look for some of the frosting and fluffy peaks for the rest, beat in a half cube of room temperature butter to half of the finished frosting. The half with the butter will pour over the cake like a creamy ganache. Your end-result homemade frosting will be light and lovely and a little sticky — but perfect for use in a pastry bag (or quart sized plastic bag with a snipped corner cut) to pipe out in large stripes over the cake. You may use star tips inserted into the end of the pastry bag for making decorations. Sweet Smother Sauce: In the country, folks like to dollop a creamy sauce on their cake slices made with a simple fork-mixed combo of 1 cup of sour cream and 1/3 cup of honey plus a teaspoon of pineapple juice. 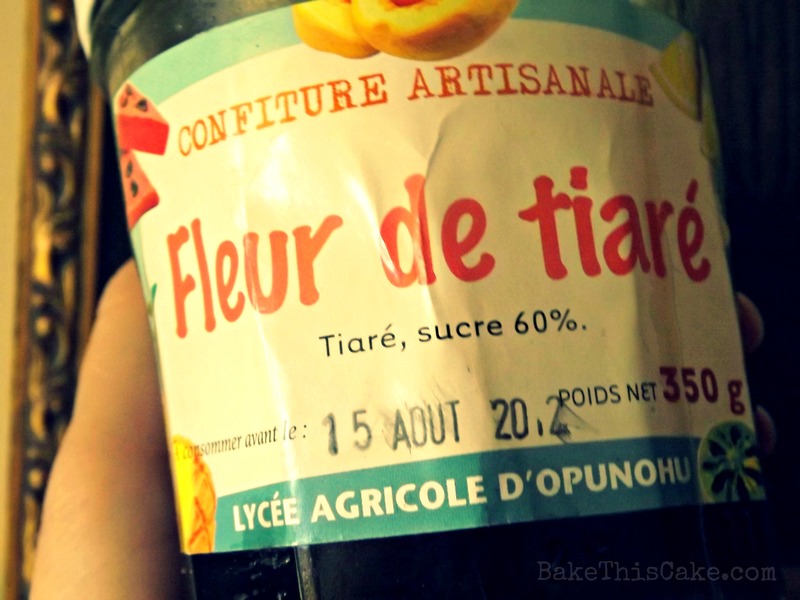 I prepared the Smother Sauce, substituting an exotic flower confiture in place of the honey and it was really fun and sumptuous. If you don’t happen to have an exotic flower jam to flavor up your dollop, the honey and pineapple juice mixed with the sour cream will do just fine. Dollop a tablespoon over each cake slice and you’re good to go! 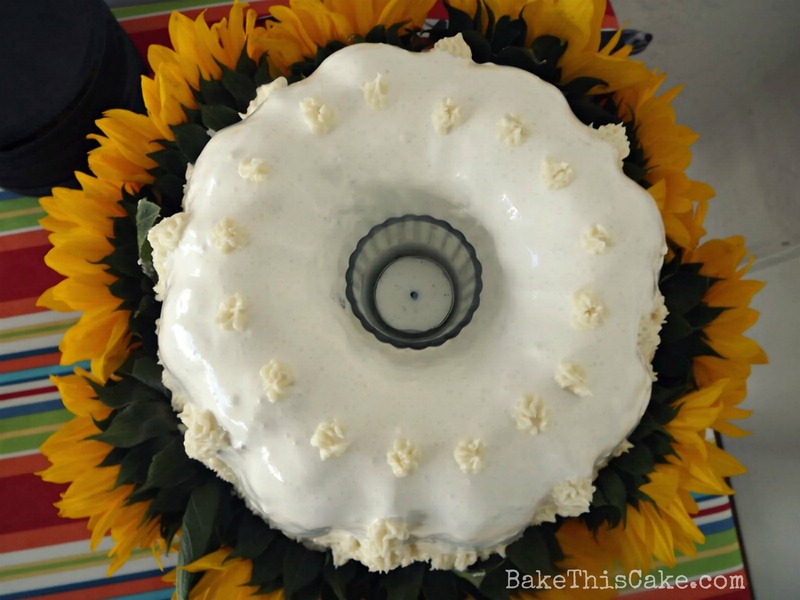 I decorated the cake with fresh sunflowers between the layers and set a pretty crystal bowl filled with Smother Sauce next to the cake. Organic edible nasturtiums would be a nice choice to layer around the cake edges. After the food blogger event, I took some cake over to my mother and served her a little slice to see what she thought of it. 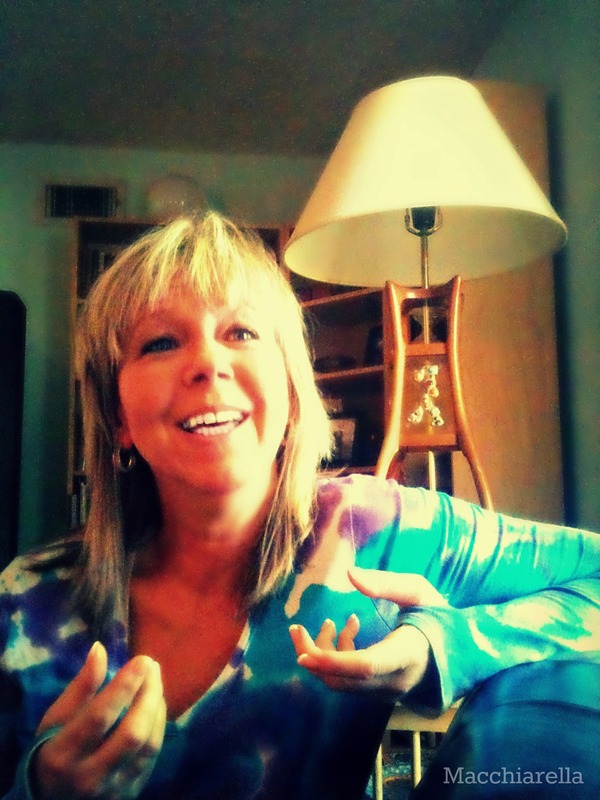 She gave it a thumbs up (whew!) and she christened it “The Welcome Cake”. 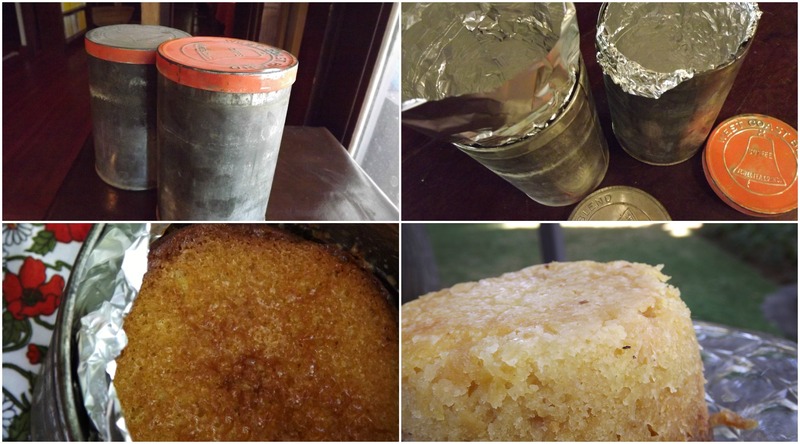 Old-fashioned Tin Can Baking: If you want to try this cake as part of a tin-can baking project, try baking this cake in coffee cans lined with aluminum foil in the oven for a highly moist version of this cake. 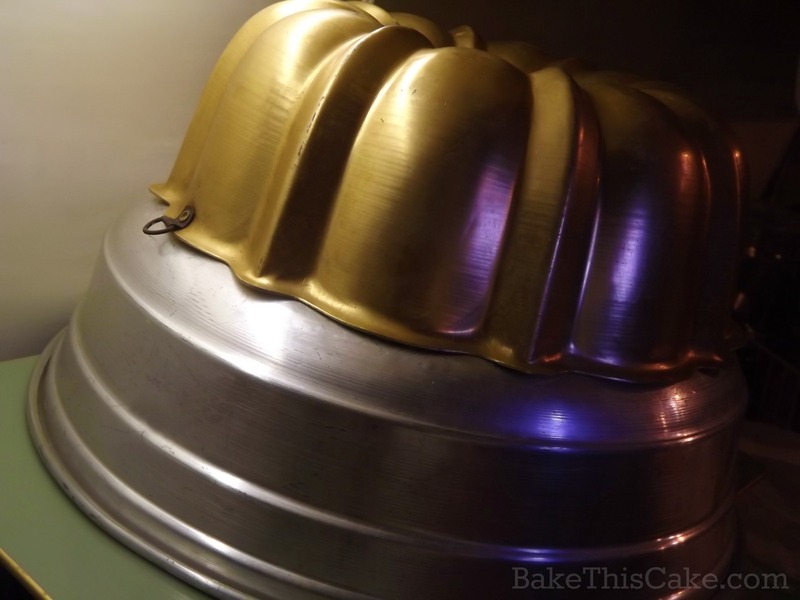 I used great-grandma’s tins that close up very tight but you can seal the top of your cake using aluminum foil. Fill the batter about 2/3 full and bake at 350 until a temperature probe shows a temperature of about 210 at the middle center point. Cut circle slices and serve with homemade vanilla ice cream. Thank you for joining me on this little vintage cake baking adventure. 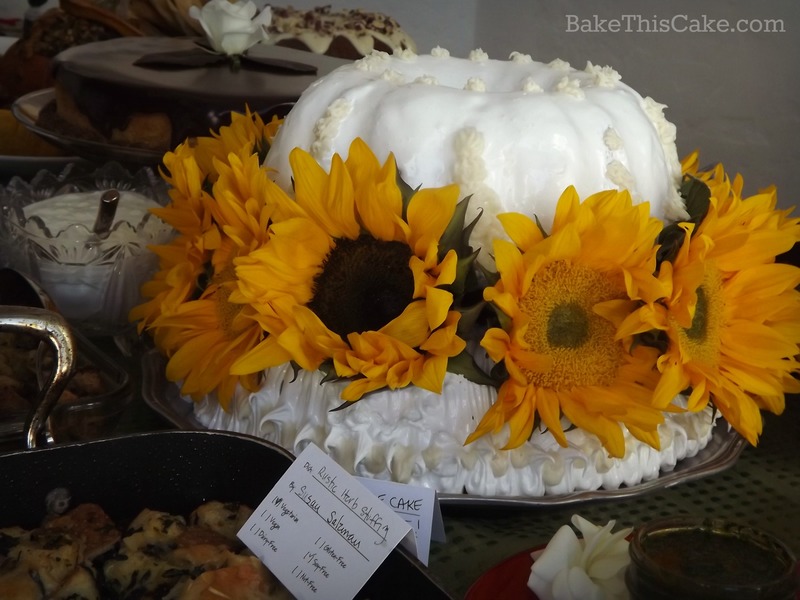 I hope you’re following us on Facebook where we share cake photos of vintage cakes in progress towards their final finished recipes. 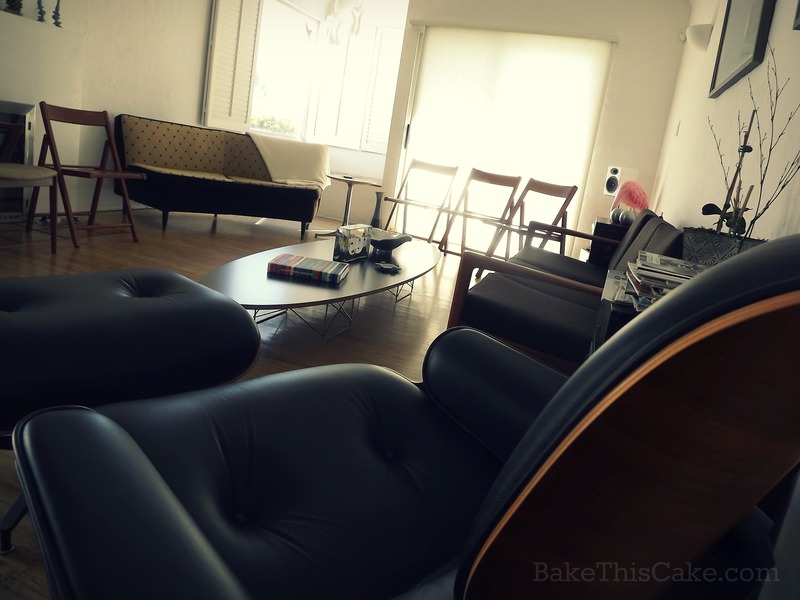 You might also have fun pinning with us on Pinterest or following us on Twitter (@BakeThisCakecom). Your cake looks so beautiful! I grew up baking from those church fundraiser cookbooks. They were the staple of the day. Although I have to say, Spry was before my time. Good old fashion lard was used for pretty much everything. Thanks for using butter! Absolutely amazing! What more can I say!! 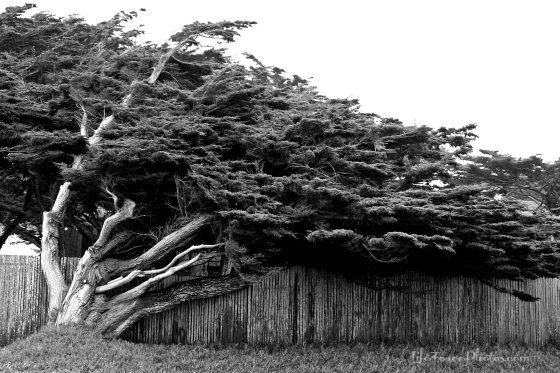 So creative too!